Astonix Life Science: Innovation for enhancing Quality of Life. 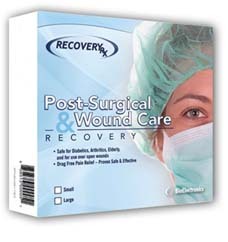 Patients and surgeons have called RecoveryRx™ a modern miracle. Actually, the benefits of pulsed electromagnetic field therapy have been clinically accepted for many years. What is new is the delivery of method. 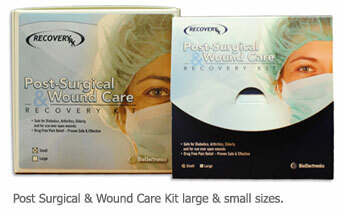 RecoveryRx™ is small, and virtually weightless. RecoveryRx™ is “wearable” technology that treats the sources of discomfort allowing patients to quickly return to their active lifestyle. 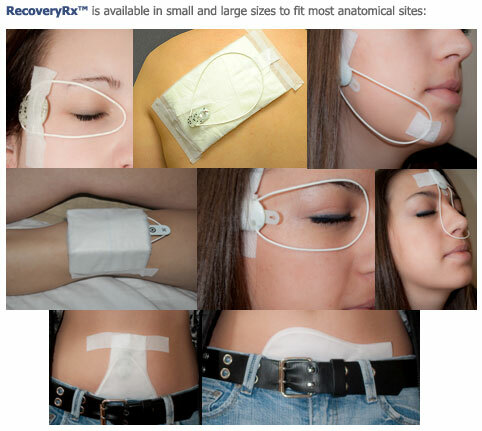 The RecoveryRx™ device is flexible, comfortable, and easy to apply and use. Once activated, RecoveryRx™begins pulsing a continuous low level current to energize damaged cells in the surgical region, helping remove the effects of trauma so patients can feel better and look better faster than they would have ever thought possible! RecoveryRx™ is a miniaturized medical device that delivers continuous electromagnetic therapy to restore damaged cells. Applied to an injury, RecoveryRx™ quickly relieves edema, inflammation and pain, providing patient comfort while reducing bruising and speeding up the onset of natural healing. How Does RecoveryRx™ Work ? RecoveryRx™ is directed towards re-establishing cell communication, and suppressing the vasodilatory response. Tissues are composed of cell networks in which cell-cell communication relies extensively on cell-cell proximity. In edematous tissues, cell-cell communication is greatly reduced resulting in poor coordination and delayed healing. In the absence of normal cell contact, RecoveryRx™ can be used as a coordinating signal to synchronize the activity of cells within tissue, thereby returning tissues to normal function in a shorter period of time. the therapeutic goal is to induce the tissue to rapidly pass through, or bypass, the tissue-damaging phase of the inflammatory process and mode to the mode of tissue repair. The low level current that is gently pulsed into the damaged tissue is undetectable, even though the device is continuously working to help patients naturally heal faster.